This toxicological case study illustrates the methods and means by which presumed causation can be refuted through interpretation of objective scientific evidence. It summarizes the events following the death of an elderly man involved in a motor vehicle accident and demonstrates how pharmacological factors and behavior on the part of the defendant can be considered as evidential in a toxicological analysis. 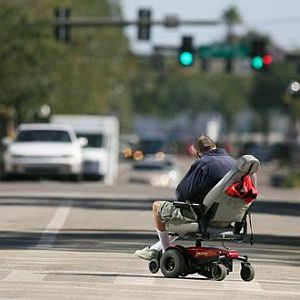 An 84-year old man crossing a street in an electric wheelchair failed to check for traffic, rolling into the path of an oncoming car. The driver braked, skidding some 40 feet before stopping just in time to lightly impact the wheelchair, toppling it over and depositing the man on the pavement. The man was hospitalized with non-lethal injuries but during treatment, he became hypotensive with severe bradycardia, possibly due to pathological complications (including hypertension, diabetes and a pacemaker). He became unresponsive due to his abnormally slow heart action. A decision was made not to resuscitate and he died shortly thereafter. The middle-aged female driver was treated for neck pain and released the same day. She told investigators the wheelchair had moved directly in front of her vehicle at the moment she had looked away from the road for "maybe a second." No drug/alcohol testing or clinical chemistry was performed as police, EMS and hospital records all noted "no impairment." Witnesses corroborated the driver’s statements and confirmed no obvious impairment indications. The accident was deemed unavoidable. Nevertheless, the man’s family sued the driver for punitive damages alleging negligent vehicle operation while under the influence of drugs. Plaintiff attorneys characterized the outcome as a "foregone conclusion." Defendant retained TCAS to conduct a toxicological assessment. Dr. Sawyer began by reviewing the driver’s medical history which was significant for two knee replacements and neck disc removals with fusion. TCAS reviewed and tabulated several years of pharmacy records noting prescriptions for hydrocodone-acetaminophen, fentanyl (both narcotic pain relievers) and baclofen (a muscle relaxant). The driver had also been diagnosed with bipolar disease and depression and had been prescribed citalopram, trazodone and alprazolam for depression and anxiety. The driver had been taking these medications ranging from 7 months to more than 2 years. Two weeks prior to the accident, she had visited her physician complaining of significant fatigue, exhaustion and pain from past surgeries. Her physician prescribed pain management, continuation of hydrocodone and the fentanyl patch. Dr. Sawyer noted that the narcotic dose levels were all on the low end of the usual dosages and there were no dose increases prior to the accident. Significantly, the pharmacy records also revealed clear compliance with medication schedules with no suspicious attempts at early refills. Hydrocodone-acetaminophen (Norco), an opioid pain reliever for relief of moderate to severe pain. Side effects can include lightheadedness, dizziness and sedation. Central nervous depression can also occur if taken with other narcotics, antihistamines, antipsychotics or alcohol. Fentanyl patch (Duragesic) provides short duration relief of chronic, persistent pain. Fentanyl can cause euphoria, dysphoria and drowsiness but these symptoms decrease with long-term use. It is often used for patients who are opioid-tolerant. Baclofen (Lioresal, Atrofen), a muscle relaxer used to treat muscle spasm, pain and stiffness. Common side effects include transient drowsiness, dizziness, weakness and fatigue. Citalopram (Celexa), an anti-depressant. Side effects include drowsiness, somnolence, hyponatremia, dizziness and tachycardia. Trazodone, another anti-depressant. Common side effects include drowsiness, dizziness, fatigue and tiredness. It can sometimes induce cardiac arrhythmia. Alprazolam (Xanax), a short-acting anti-depressant and anxiolytic (decreases anxiety). Common side effects can include drowsiness, confusion, hypotension, tachycardia, palpitations, nausea and muscle tremors. Although the FDA requires disclosure of potential adverse effects for all medications, merely stating that a side effect "can occur" is not the same as assuming that a side effect "will occur." Qualified toxicologists generally understand that tolerances to medications will develop over time and many adverse effects are encountered only upon start-up of a new prescription. This is particularly true for narcotics. Upon careful review of the medical records, TCAS found that the driver’s physicians were closely monitoring her for adverse medication effects, both singly and in combination. This finding was consistent with the expected development of significant tolerances to fentanyl, hydrocodone and alprazolam. One way to assess driver impairment is to apply the driver’s reaction time and the parameters of an accident to generally-accepted studies of the latency time between observation of a potential accident and brake application (known as "headway"). Dr. Sawyer consulted the National Highway Traffic Safety Administration (NHTSA) driver braking responses comparison studies which use simulator testing versus actual test track data.1 Middle-aged adults (such as the driver in this case) demonstrate a mean time headway of 1.6 seconds. Accident reconstruction data estimated that the wheelchair (traveling at a top speed of 3.8 mph) was 11 feet from the collision location when the driver (traveling at 30 mph) was still about 120 feet from the point of impact. Based on accident reconstruction data, it would have taken the wheelchair 2 seconds to travel to the point of impact. Thus, the driver would have needed 1.6 seconds to react, with an additional braking time of about 2.0 seconds. The driver would have had to have seen the wheelchair within about 1 second of its entry into the roadway to avoid the accident. Generally, even a perfectly sober individual requires longer than this brief interval to visually perceive and react to the entry of an object into the roadway. Thus, the driver’s recap of the accident was consistent with the generally-accepted NHTSA studies. An eyewitness at the accident scene stated that the driver did not appear to be under the influence of alcohol or drugs. Although the driver was understandably upset, police and medical personnel staff all reported that there was no evidence of impairment. The driver admitted to being fatigued, however, Dr. Sawyer noted this was due in part to uncontrolled severe pain (as reported in her medical records). In fact, pharmacy records reveal the driver was actually under-medicating with both hydrocodone and baclofen. This objective evidence is inconsistent with drug-seeking behavior or addiction. Going further into his investigation, Dr. Sawyer could find nothing to invalidate the hospital records, the eyewitness statement or the police report, all of which noted a lack of impairment. 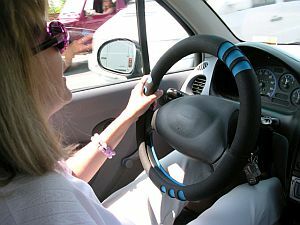 Whereas some drug combinations "may" cause side effects, at no time did anyone in close proximity to the driver note any evidence of such effects. Digging still deeper, Dr. Sawyer examined each individual combination of drugs taken by the driver. For example, interactions between tramadol and trazodone or citalopram and trazodone can lead to uncoordinated movements, shivering, tremor, muscle spasms and many other symptoms. The driver exhibited none of these symptoms, nor any others that could reasonably be attributed to combinations of these prescription drugs. The driver testified that she had taken her usual medications the morning of the accident. She stated that she did not believe her medications had played any role in her level of attentiveness that day. Testimony of the driver’s husband revealed that she had, in fact, been trying to wean herself off her medications. This was verified by review of the pharmacy records. He also indicated that he regularly spent considerable time with his wife and at no time noticed any signs of impairment due to her medications. Plaintiff attorneys attempted to discredit Dr. Sawyer’s assessment by presenting possible drug interaction scenarios as "likely" outcomes. Dr. Sawyer refuted these attacks by noting that it is improper causative reasoning to conclude that a side effect "did occur" merely because it "can occur." The driver was well past the point at which new-prescription effects would have manifested. She had complied with every precaution to avoid drug interactions and was being actively monitored for adverse effects by her physicians. Dr. Sawyer further cited the reaction time studies and the fact that all witnesses and attending medical personnel noted a lack of impairment. His testimony offered the firm opinion that the accident was not related to the driver’s medication. Subsequent to Dr. Sawyer’s written report and testimony, the case settled favorably for defendant during mediation. The case was noteworthy in that Dr. Sawyer overcame a "foregone conclusion" by scientific interpretation of objective toxicological evidence. National Highway Traffic Safety Administration, "Comparison of driver braking responses in a high fidelity driving simulator and on a test track," March 2002, US Department of Transportation Document HS 809 447. "Toxicologically assessing the effects of prescription medications requires application of objective scientific methods. Refuting causation can involve demonstrating behavior and judgment inconsistent with impairment."